help her but sent her to sleep. All the others are well, we can not imagine how this happened. On the picture you can see both, brother and sister. They were the first bunnies we adopted. Hope they are well together now again. :-( So sad to hear about yr bunny! I'm very sorry to hear this! Hope you're feeling a bit better now. 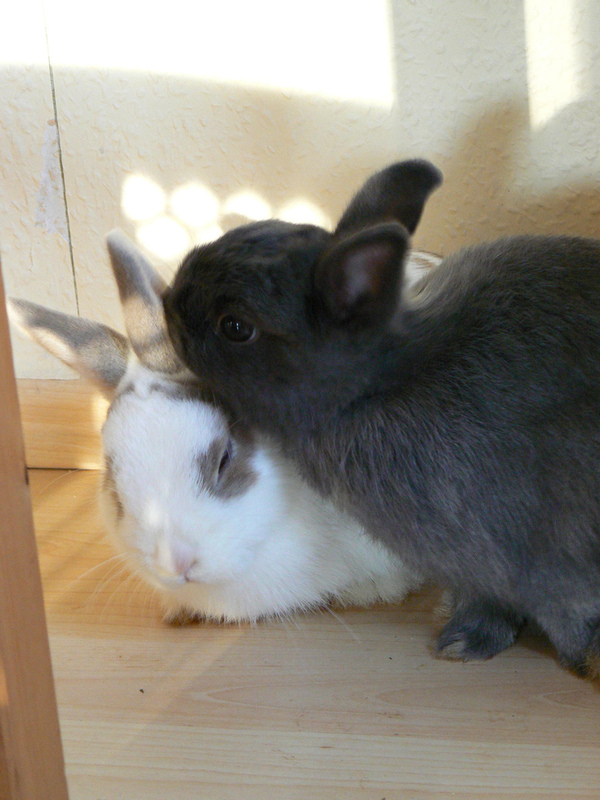 I once had some bunnies too and they're such cute animals! It's amazing how much a pet can be missed. Such a sad news. Hope you will feel a bit better soon. I'm so sorry about your bunny. The world is a strange place sometimes. Thinking about you in Chicago.